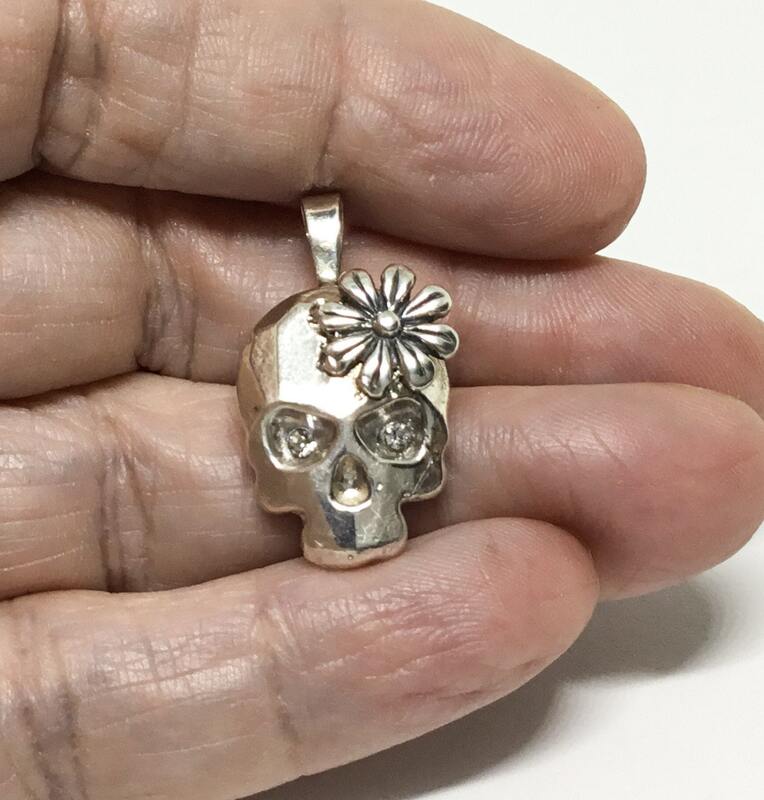 This is a unique handcrafted .925 Sterling Silver skull pendant handcrafted by Steve in our own studio. 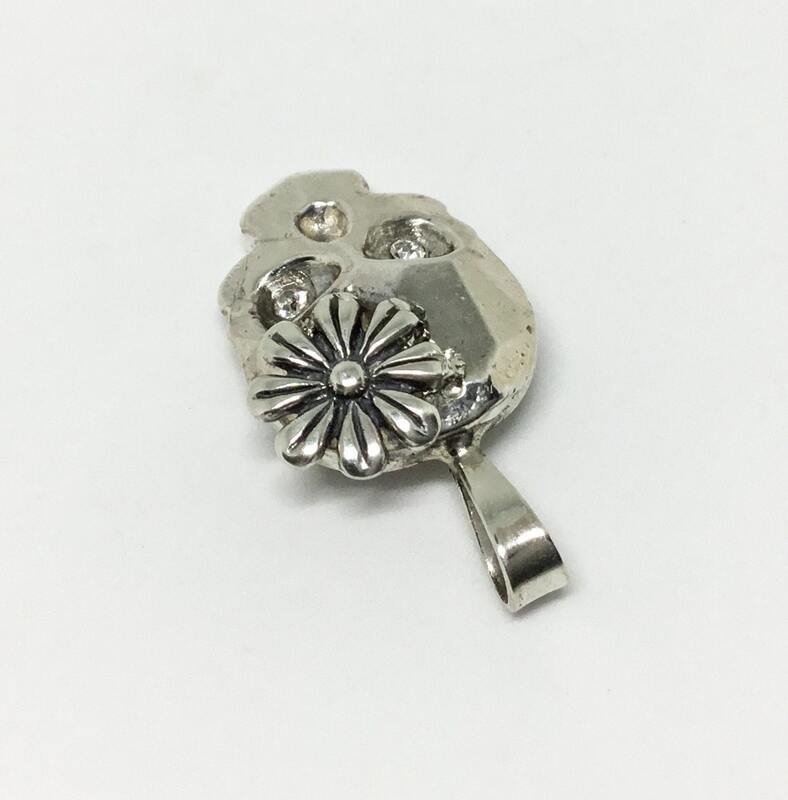 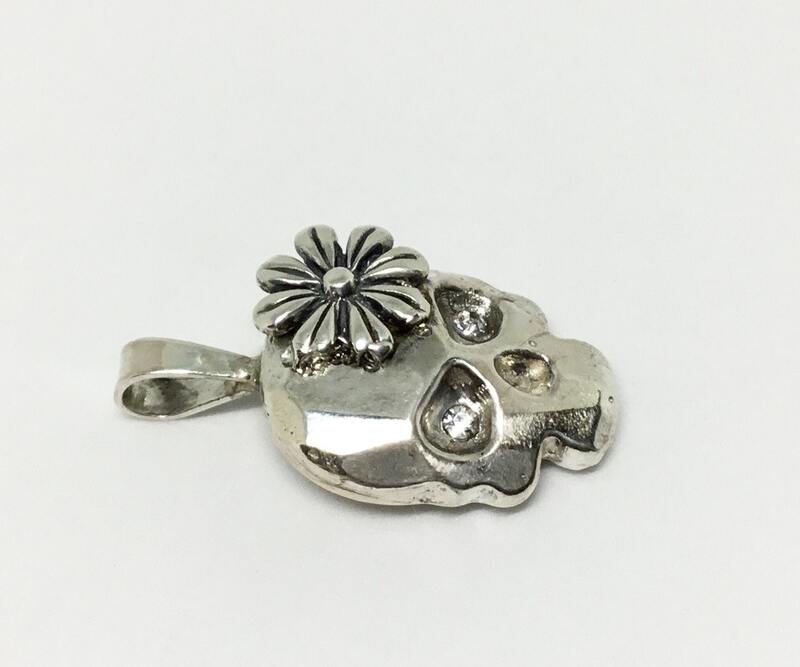 The skull is solid Sterling and has a sweet Sterling Silver flower and clear crystal eyes. 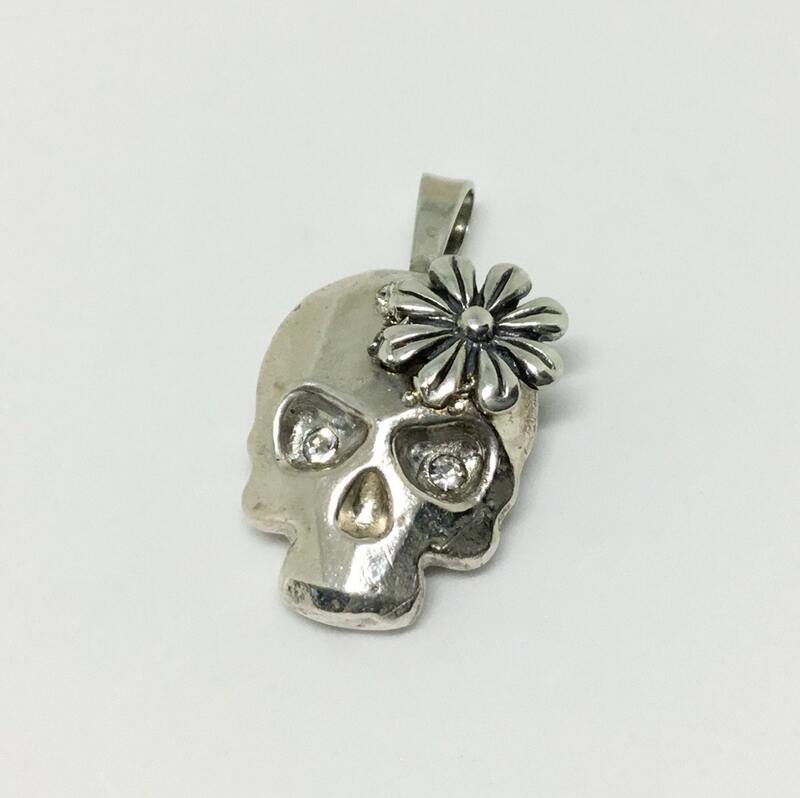 The skull measures 18mm x 14mm and comes an 18” chain. 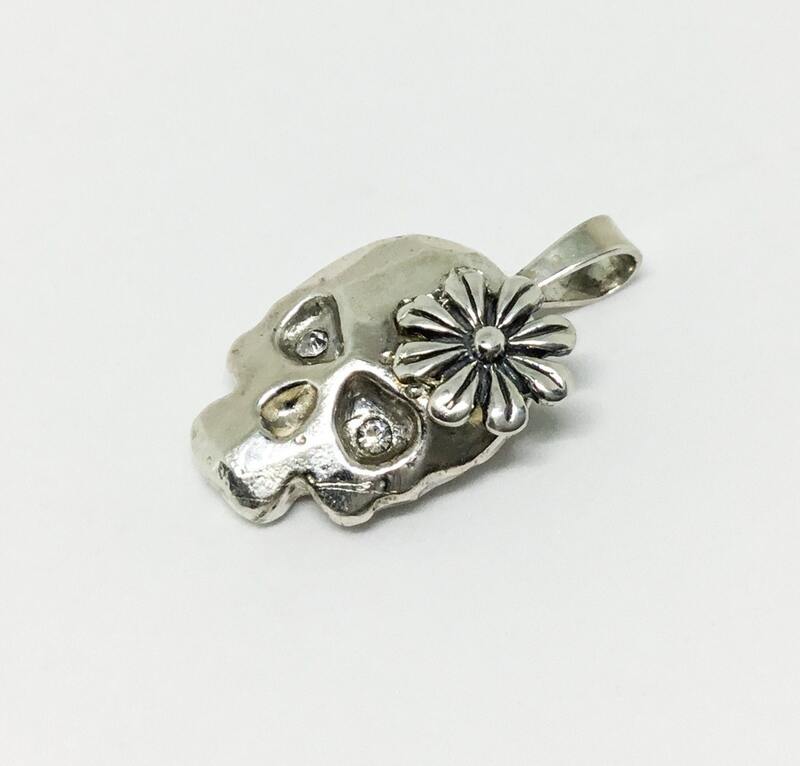 A great gift for someone who loves skull jewelry.